With the sudden rise in the education system no doubt, the completion among the aspirants have been extended to the next level. We have incorporated a variety of techniques to filter the best talent round the geographical boundaries. Thus, the traditional examination is transformed to user-friendly, easy go questionnaire. This list also includes the introduction to the OMR examination system. In this, each of questions will be provided with multiple set of answers and the candidate has to mark the correct response on the OMR answer sheet. The OMR sheet is a bubbled sheet that will have question numbers in sequence, and against which bubbles equivalent to the count of tentative choices will be provided. The candidate has to shade the appropriate bubble completely using a pen or pencil as directed in the instructions to mark the response. These sheets are processed using the OMR sheet checker software. However, the bulk number of response sheets looks very much similar and becomes very much important to punch some information for smooth differentiation of the aspirants. To serve this purpose bar codes has been used. Each of the sheets will be mapped against a particular barcode. A barcode is the representation of data constituting information that can be decoded using an optical readability machine. 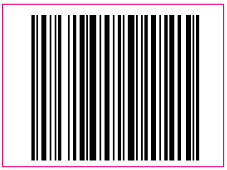 Initially, the traditional barcodes were used that is systematical representation of data using the width and spacing in between the group of parallel lines. However, now we have barcodes with dots, hexagons, geometrical shapes, images and more to represent the coded information. These barcodes could easily be read using special application software. The technique to capture coded information has found its huge application that includes the OMR answer sheets, question paper, premium goods, etc. Using the OMR software one can easily design, customize and evaluate OMR sheets. Barcode is the best available tool to differentiate the volume number of sheets. The transparency kept during the evaluation and hiding one’s identity (including the name, roll no., age, city, state, gender, etc.) with the checker will help in conducting fair and impartial examination system. Highly secured and systematic flow of the confidential data is kept secured and could only be decoded by special software i.e. OMR sheet checker software. The coded information is punched using lines, dots or images on all the sheets. This information can only be decoded by the organizing committees with the use of decoding machine. In most of cases, application software will help to decode the barcode information. The OMR answer sheet is a bubbled sheet that would be used by the aspirants to mark the responses and hence it is important to secure the identity of the applicant from the evaluator. The quick identification and the automatic record generation will provide the liberty to have an advanced forefront analysis. The barcode reading machines are low cost and efficient to capture precise information. The flow of confidential information remains secured during the examination cycle. So, use barcodes on the OMR response sheets carrying the coded information that could only be decoded at the final stage of the result declaration. This will help in conducting a secure, parallel and unbiased selection of the deserving set of candidates.